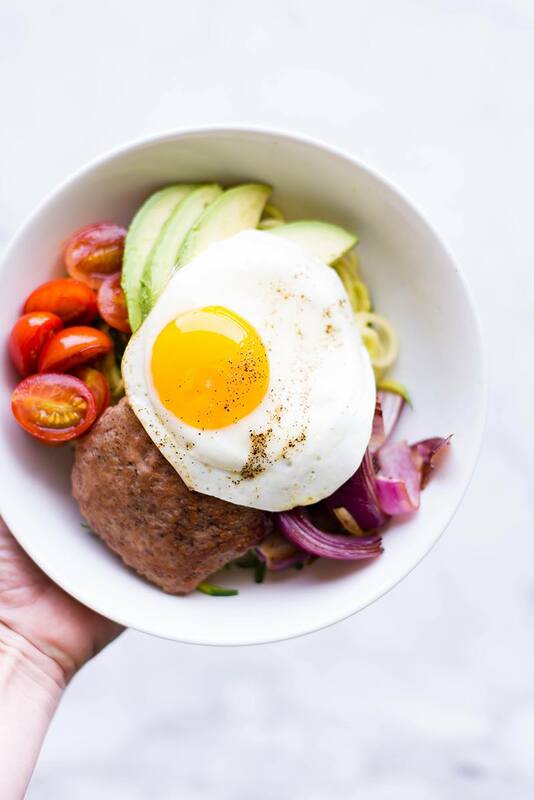 Try this delicious Low Carb Turkey Burger bowl that is full of lean protein and lots of other yummy goodness. 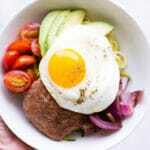 The recipe for this burger bowl is the perfect dinner recipe for busy weeknights! Okay, so it’s February. 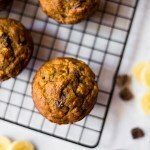 How go your healthy eating resolutions? 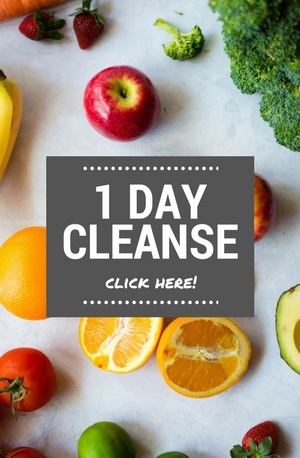 Have you been able to stay on track with eating whole, real foods and steering clear of refined sugars? Or, has it been more of an uphill battle thus far? It’s okay – either answer is okay. Let’s hear it. Resolutions can be tough. They are big changes to our world and require work. But you know what makes them so much easier to keep? Seriously. A plan makes ALL the difference. 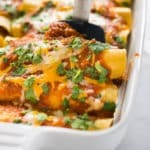 Planning out your meals can be so so so SO helpful so you don’t find yourself hungry at 5:39 p.m. on Tuesday evening, wondering what you’re gonna do for dinner, ultimately deciding to just order a pizza because it’s easy and quick. Meal planning means you can actually plan to eat easy and quick HEALTHY meals that will (1) taste amazing, (2) make you feel awesome, and (3) keep you on track with your goals. 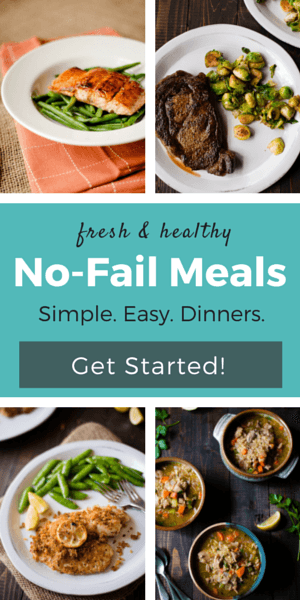 So, today, I want to share my favorite new easy and healthy dinner recipe with you. These Low Carb Turkey Burger Bowls came about because I had some ground turkey in the fridge and wanted to try something new — something fresh — something that would get me excited about dinner. Of course, my mind went to burgers. Turkey burgers. But I wanted something… new. So I decided to make a yummy and low carb turkey burgers. Because I find turkey burgers more flavorful and have a better texture than chicken burgers. And in the ground turkey vs ground beef, turkey wins sometimes (more about this later). Aaaand because bowls are so hot right now, I had to put it in a bowl! And zucchini noodles? Are you kidding me? Nom. This bowl is great because it changes up your typical dinner AND makes great leftovers – you just need to store the pieces separately and assemble when you’re ready to eat. Then, all ya gotta do is fry the egg and slice the avocado and your dinner prep just took you 8 minutes. So, whether you’re totes on track with your healthy eating resolution, you’re one candy bar away from completely giving up on this healthy diet thing, or you just need a fresh new dinner idea to keep up your interest, check out this recipe! Ok, so can I talk about how much I love all the different textures, colors, and flavors in this bowl? We’ve got juicy, vibrant tomatoes in sweet balsamic vinegar and tangy lime juice, crispy and tender charred sweet red onions, smooth and creamy sliced avocado, yummy and fresh zucchini noodles, a savory, high-protein turkey burger, all topped with a hot fried egg and drizzled with a cool spicy sriracha mayo sauce. To assemble the burger bowl, you have to throw these ingredients together, however, until we reach that step, I have to teach you how to make ground turkey burgers. Also how to make sriracha mayo. Let’s start with the healthy turkey burger recipe. cook for 5-6 minutes per side. 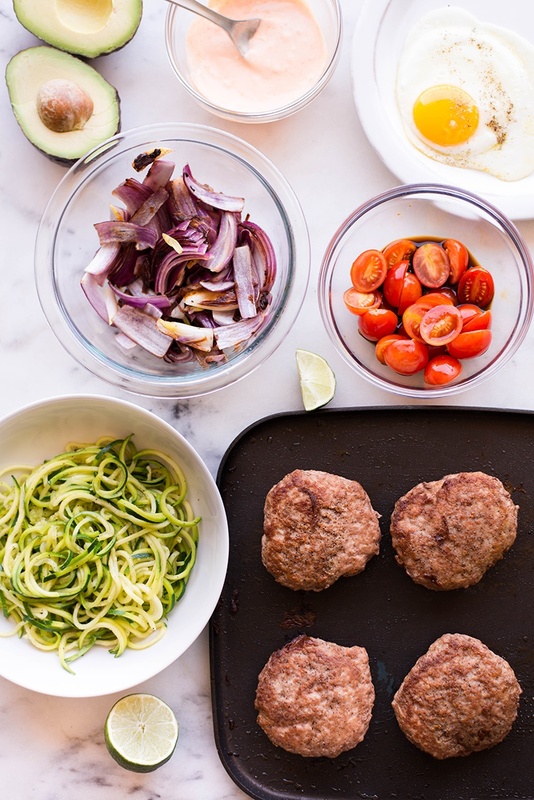 The paleo turkey burgers are ready to be added to your burger bowls now. I find this to be the best turkey burger recipe because it’s so simple yet so amazing for this turkey burger meal. than ground chicken. Lean ground turkey is amazing for this turkey burger dinner or for a healthy burger in general. When it comes to the Ground Turkey vs. Ground Beef debate, turkey still wins in most people’s eyes. However, turkey and beef are pretty similar. Of course, it depends on the lean meat to fatty meat ratio. 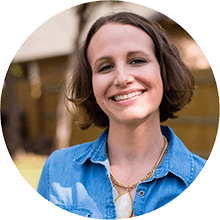 You can easily get high fat ground turkey so that’w why I look for lean ground turkey. The calories, cholesterol, and sodium are similar when you compare beef and turkey that have the same ratio of lean to fat. I decided on this healthy turkey burger recipe for the burger bowl recipe because I love turkey burgers. And it’s nice to have variation. 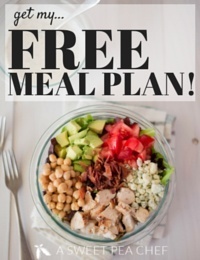 Fit and healthy meal plan perfection. Basically. Don’t worry, I did not forget about the sriracha mayo recipe. How could I? 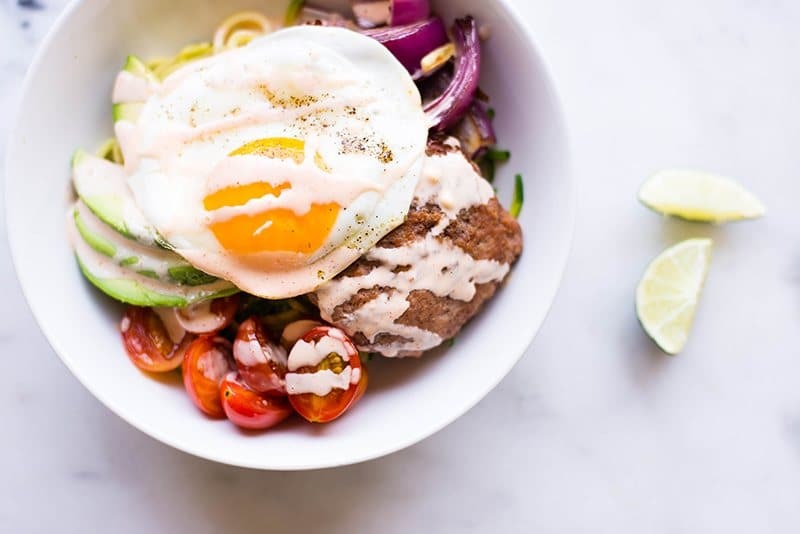 Sriracha mayo is the amazing burger bowl addition that brings all the amazing flavors of the burger bowl together. It’s finger-licking good and so easy to make too. Drizzle the sauce over the burger bowls and enjoy! CAN YOU MAKE TURKEY BURGER BOWLS AHEAD? If you want to make the burger bowls ahead of time, I recommend prepping all the ingredients for the burger bowl recipe and storing them separately in the fridge. Prep and cook the ground turkey burgers and make the Sriracha mayo. When you’re ready for your turkey burger dinner, remove the ingredients from the fridge and assemble the burger bowl. 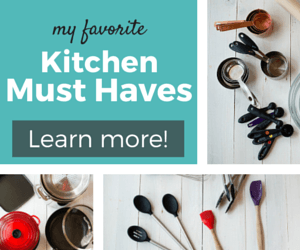 Yes, you read that write – let’s turn this into meal prep! 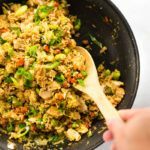 If the low carb turkey burgers made you crave more turkey meals, I have more healthy recipes for you that involve turkey. Not a turkey burger meal but just as good. 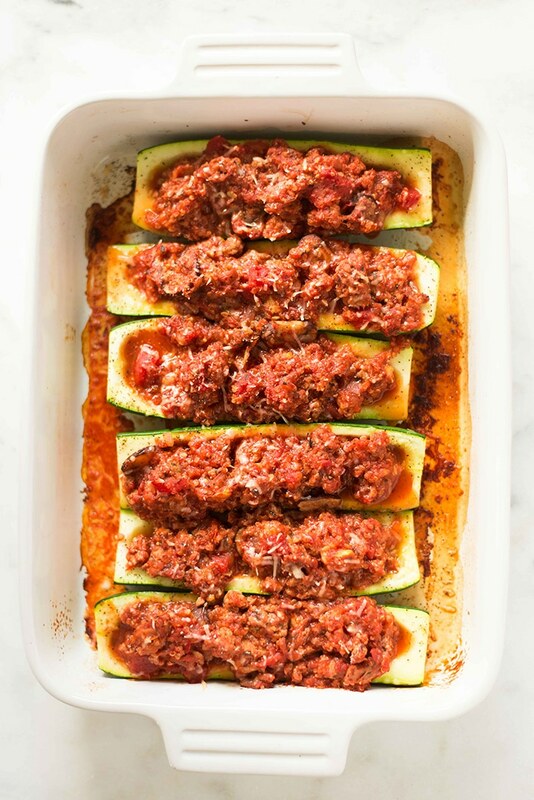 For an easy, healthy, and delicious weeknight dinner, you can make these Ground Turkey And Quinoa Stuffed Zucchini Boats. If you don’t like to make dinner from scratch every night, the Ground Turkey And Quinoa Stuffed Zucchini Boats can be made ahead of time and stored in the fridge or in the freezer. Get the recipe. Another bowl but this time a lunch one, not a dinner one. This one doesn’t involve turkey burgers but tacos – Turkey Taco Lunch Bowl. 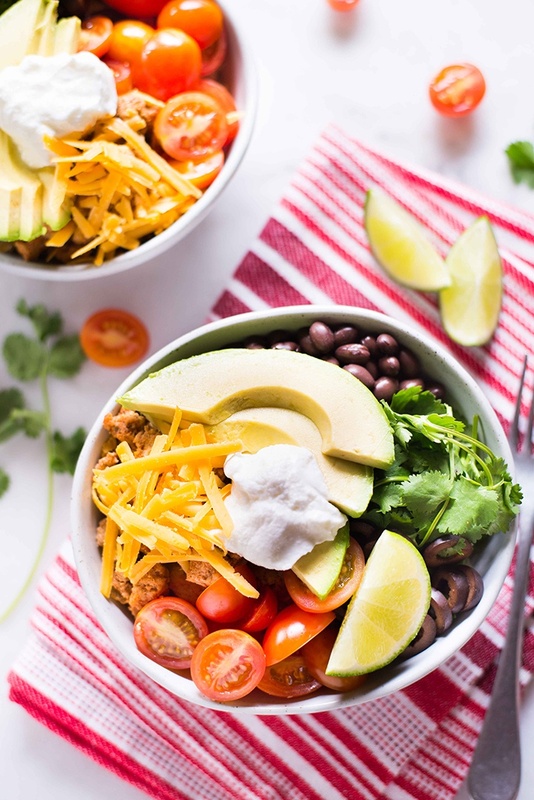 The Turkey Taco Lunch Bowl is healthy, easy to make, and filling. Get the recipe. Keep things simple and fresh for lunch with this Avocado, Turkey & Hummus Wrap. Wraps are easy to make and they can be healthy and nutritious if you use the right fillings. 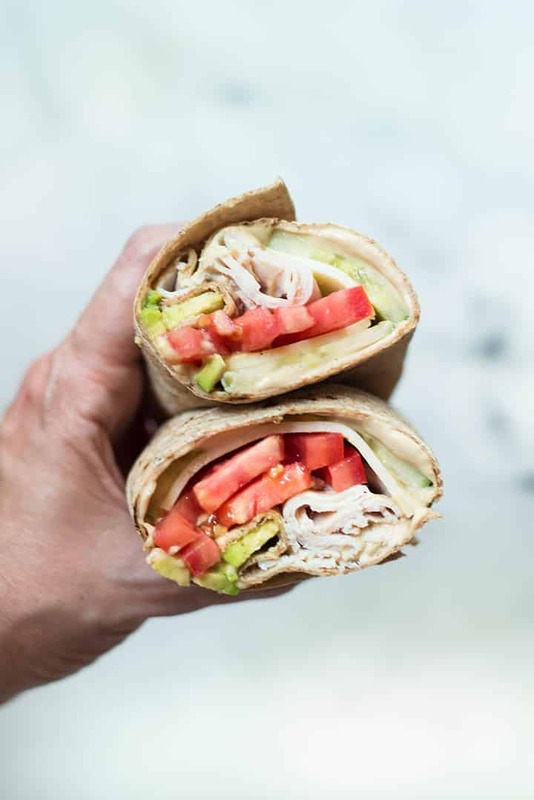 The Avocado, Turkey & Hummus Wrap is made with clean, healthy, and yummy ingredients. Get the recipe. Try this delicious low carb turkey burger bowl that is full of lean protein and lots of other yummy goodness. To make the balsamic tomato salad, in a small mixing bowl, combine the halved grape tomatoes, balsamic vinegar, and some freshly squeezed lime juice. Set aside. 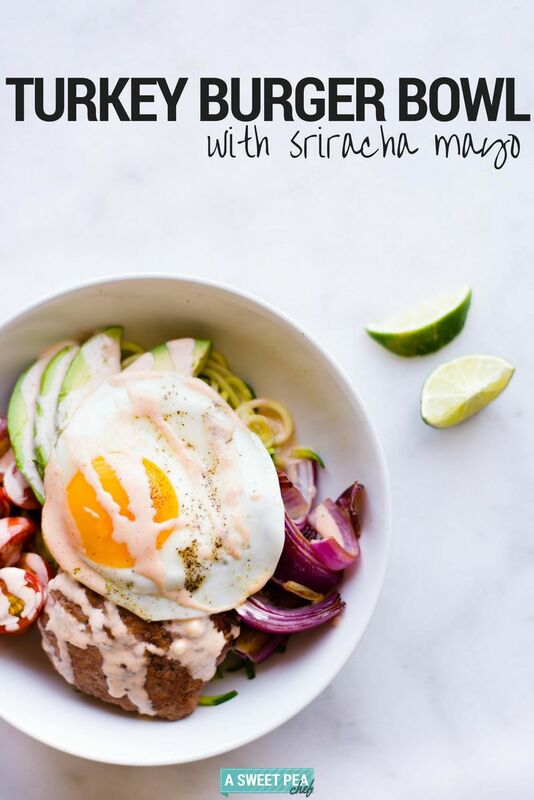 To make the Sriracha mayo to drizzle over our bowl, in a small bowl, combine either avocado oil or olive oil mayo (the less ingredients, the better), Sriracha, sea salt, fresh, lime juice, and unsweetened almond milk and stir to combine. You can set this aside as well. 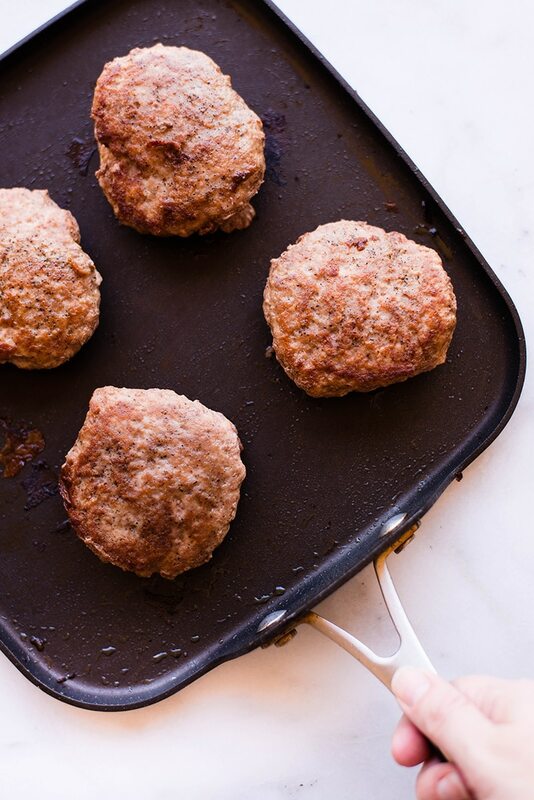 To make the turkey burger patties, grab about 1/2 cup of the ground turkey and form into a patties. Try to make the patties as evenly sized as possible so they cook evenly and are done at the same time. Season both sides of the patties with a mixture of sea salt, ground black pepper, and garlic powder. Heat a skillet over medium-high heat and add a little olive oil. Add the patties, being careful not to overcrowd them, and cook about 5-6 minutes per side, until golden brown on both sizes and 165 degrees F internally (you can use a digital meat thermometer to help with this). Remove from the heat and set aside. To the same skillet, add the quartered red onion and cook on all sides until golden brown and tender, about 3-4 minutes per side. Then remove from the heat. 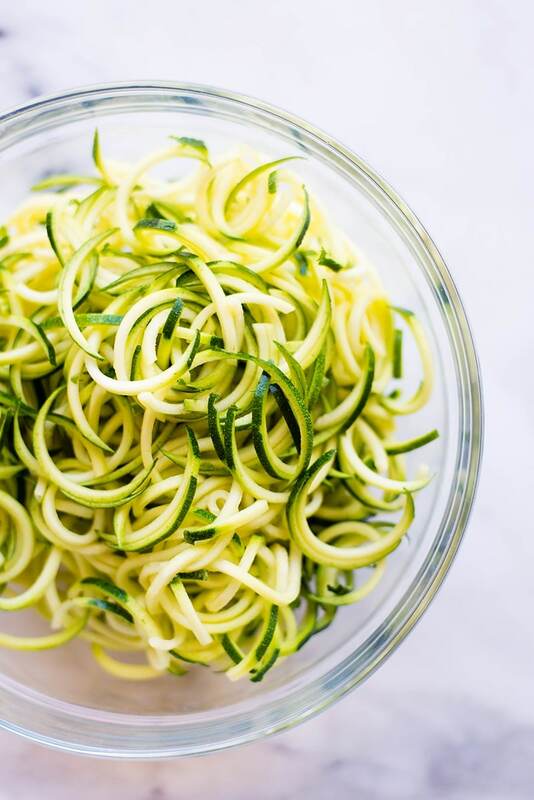 To make the zucchini noodles, heat olive oil over medium-high heat and add the spiralized zucchini noodles, sea salt, and ground black pepper, and toss to coat. Cook until the noodles are just tender, about 6-8 minutes, tossing frequently. To make the fried egg, add a little olive oil to a small skillet and heat over low heat. Add the egg and season with a little sea salt and ground black pepper. Cook until the egg whites are solid and the yolk is heated through, about 5-6 minutes. You can either flip over to cook the other side, or keep sunny side up. 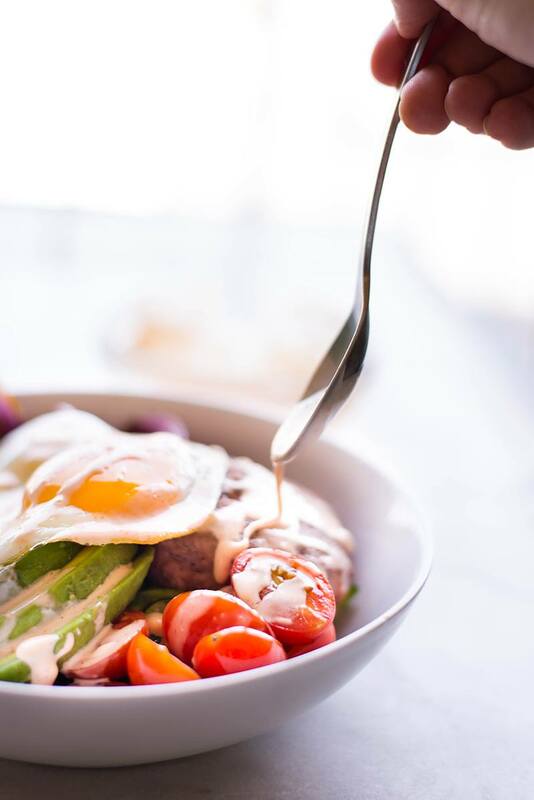 To assemble the bowl, start by adding a bed of the sauteed zucchini noodles, followed by our seasoned lean turkey burger patty, the balsamic tomato salad, half the sliced avocado, the charred red onions, and then top off with the fried egg. Drizzle the Sriracha mayo over the top to bring it all together. « Sheet Pan Sausage and Veggies – Perfect for Meal Prep! 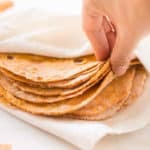 This was brilliant, I will be looking to begin a full keto journey for the 3 rd time and I stumbled across this article.. I just made this. It was delicious!! YAY, I’M SO GLAD YOU ENJOYED IT, MEREDITH! !